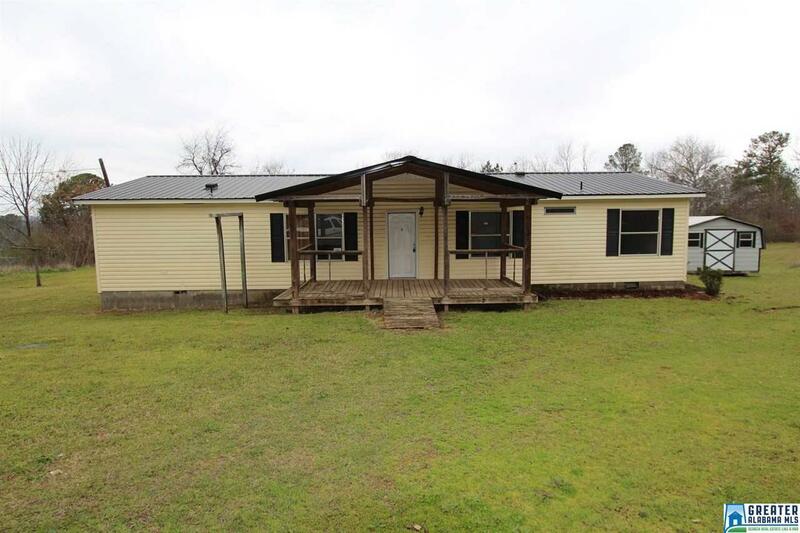 Here is a three bedroom two bathroom manufactured home on a permanent foundation with a quiet "country" setting midway between McClellan and JSU. There is a living room, kitchen with dining area, den, and laundry room. The rear deck overlooks a partial chain fenced backyard. There is a storage building and covered front porch. There is lots of living space and nice corner lot here with a price point that can not be beat. You can see it today! Driving Directions: Hwy 21 To Anniston Beach Road To Left On Longshore To T On Robin. House Is On The Corner Of Robin And Dirt Road.